The Serviceberry tree is the Lara Croft of the deciduous tree/shrub World being tough and attractive. Usually found happiest in boggy or damp conditions (just look for it smiling) but it will tolerate other environments readily such as woods, hedgerows and gardens with snotty neighbours. The oval dark green leaves turn striking shades of orange (male description) or sparkling sun ray gold with hints of dancing Autumnal straw (female description). 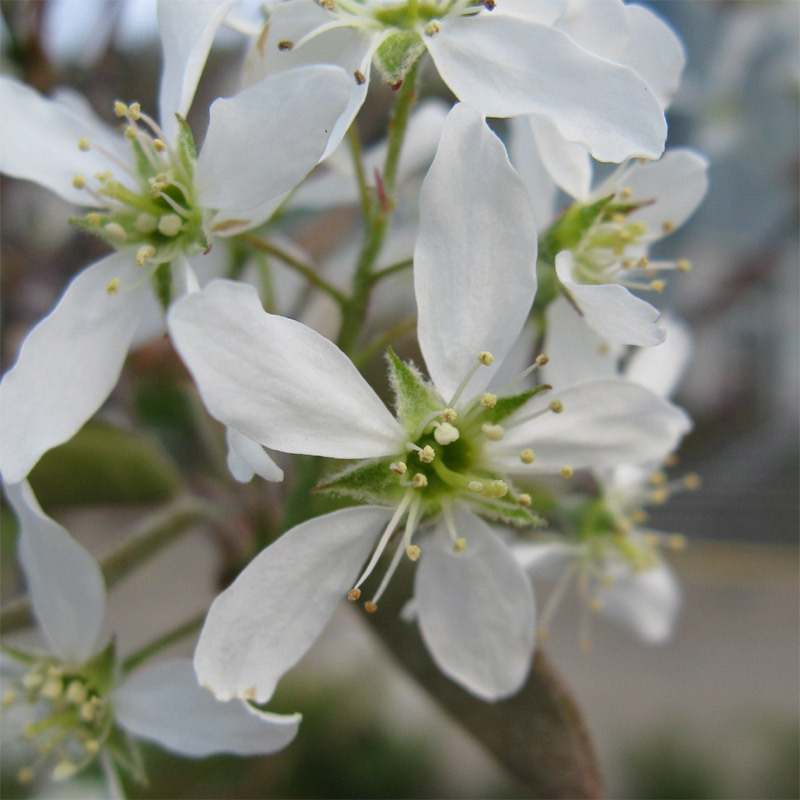 Expect to see Amelanchier Canadensis very showy, white star shaped flowers from March to April which then turn to dark edible fruits late in the Summer. The flowers turn to fruits without the need of another Amelanchier Canadensis nearby and so is considered self fertile. The fruits have a few small seeds at the centre and taste a little like apple although impart an almond life flavour when cooked and are high in iron and copper. You will be competing with the birds for the fruits so either set the alarm early and go to bed with your running shoes on or net the tree. 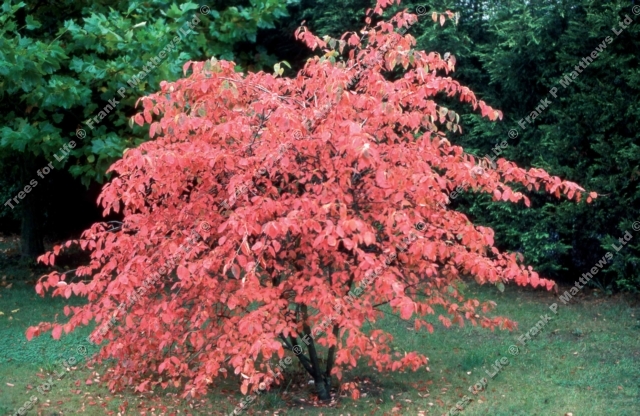 Plant in fertile, moist but well-drained neutral to acid soil, clay, loam or chalk, in full to partial shade and expect a final height of around 6m and a spread of 3m although you can prune to less (never seen pruned more!) Best results have been achieved by planting in acidic and damp conditions but not waterlogged. You can mix in ericaceous compost to the excavated dirt for absolutely best results as this is on the acidic side. Mulching with pine needles and/or saw dust is another method of acidifying the soil. Mostly grown as a multi stem shrub and considered to be UK fully hardy which means will stick its twigs up to minus 15 degrees centigrade. Will tolerate strong winds but not coastal environments. 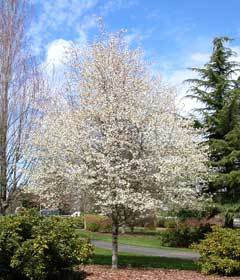 As it tolerates high winds, the Serviceberry tree can be planted as an informal hedge and used as a windbreak. Native to North America and Canada and usually found growing from sea level up to around 200m. Used in Bonsai with some medicinal uses. 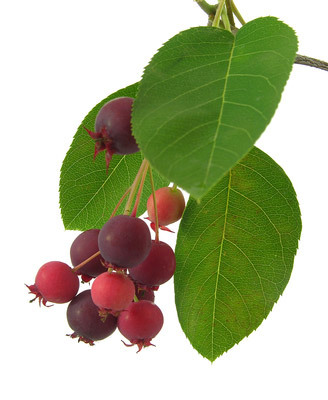 The wood of the Serviceberry Tree is close grained and useful for tool handles or other application requiring strong wood. Some ornamental gardens under plant the Amelanchier Canadensis with perennial plants and are favoured by many local authorities because of its low maintenance, hardiness, tolerance to pollution and aesthetic qualities.